Ashton was conceived in April 04. No stormy nights stories... hehe. Yeap, this might sound boring, but his arrival was planned as we decided that it's time we had another person share our lives. 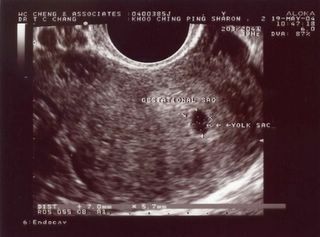 It's beyond my imagination how such a small little dot could grow into a human being. 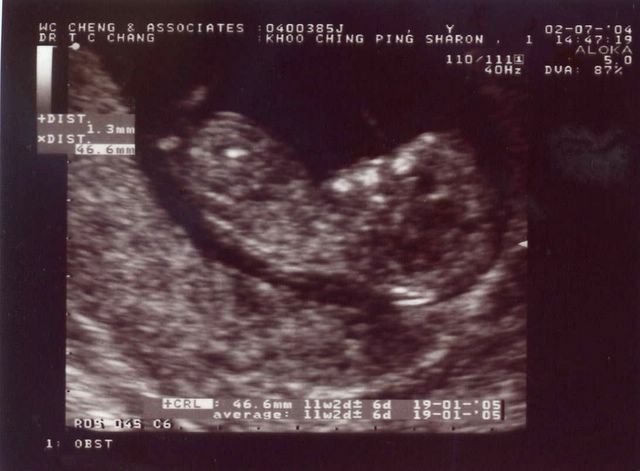 Although it was just a small dot, we were so excited when we had the pic of the scan to keep. Our first pix of our little one! Okay, this pix of Ashton looking more like a baby rather than a kidney bean. This pix was also very significant as it signifies the end of the first trimester when miscarriages were suppose to be quite high. In fact, I read that the rate was as high as 1 in 4. Was so glad to pass that milestone! This is my fave in stomach pix of Ashton. 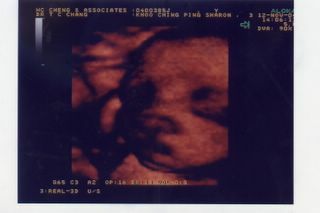 The gynae took this pix for us during the routine scan as Ash was so cooperative in posing so nicely. Too good a chance to be missed and the gynae couldn't resist taking this pic and giving to us FOC. Hehe, really nice man!! 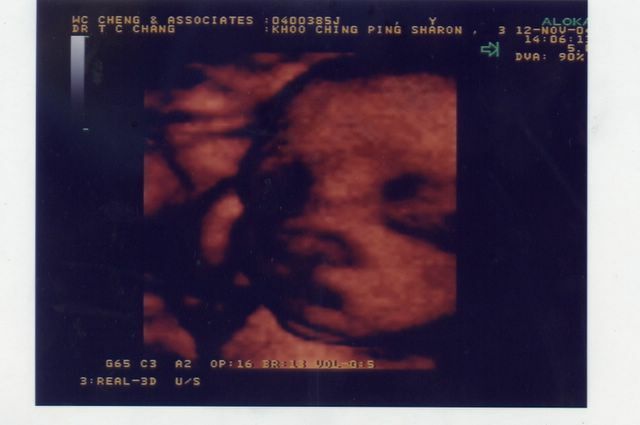 See his round chubby cheeks and long eyes... how like mummy!